You are here: Home » Veterans Disability » What is a Veterans Disability Benefits Fully Developed Claim? This overview of the Fully Developed Claim process explains how it can speed review of your VA disability benefits claim and the pros and cons compared to a regular claim. The Fully Developed Claim process is a fast track way to get a VA disability claim reviewed. It’s called a Fully Developed Claim (FDC) because the veteran does the upfront work of gathering all needed information. The effort appears to be well worth it – in 2015, the U.S. Department of Veterans Affairs Data reports FDC’s were decided on average 49% faster than all other disability claims. The program started nationwide in 2010 to address the serious backlog of disability claims, and now more than half of all claims received by the Veterans Benefits Administration are Fully Developed Claims. Veterans Service Organizations are reporting that the FDC process is producing a high level of acceptance for veterans’ disability claims. In 2014, the American Legion said 40% of all the disability claims it assisted in filing were FDC, and the VA accepted nine out of ten of those claims without reservation. The Fully Developed Claim (FDC) emerged as a way to get claims that are in solid order pushed through the system faster. The FDC name refers to the fact that VA disability benefits claims are considered “fully developed” at the point that the veteran submits all evidence. After a regular claim is “fully developed”, then the only assistance required from the VA is to secure federal records and order any medical examinations. Beginning in 2010, instead of submitting a regular claim, a veteran can choose the optional Fully Developed Claim process and agree to provide certain documentation on their own. The applicant submits an official FDC claim form, and submits all available supporting evidence, like private treatment records and notice of federal treatment records, to the VA at the time they first file a formal claim; the veterans also certify they have no more evidence to submit. Using the FDC procedures can cut down on the claim processing time for an initial claim by more than half. The American Legion reports that in 2014, while the regular claims its Service Officers assisted with could take up to 300 days to receive a decision, the Fully Developed Claims filed with Legion assistance were decided within an average of 136 days. In some regions, FDCs can be decided on in less than 90 days on average. First, the veteran files an intention to use the FDC system, which sets the effective date of the claim. The VA tells the veteran precisely what information and evidence is needed to process the claim. Once the vet gathers and submits all of the documentation, the VA begins to process the claim. This can eliminate delays of the back and forth of waiting for further instructions and more evidence. It lets you know up front the documents you need. Veterans and their representatives do much of the development that typically takes the VA up to half a year to gather. The up front submission of evidence allows the VA to start processing the claim immediately, without holding it for mandatory wait periods. After the veteran submits the claim, the VA will gather all federal records identified, such as VA Medical Center records and the documents from the Social Security Administration. The VA will also send the applicant for a VA medical examination, if needed. If for some reason your claim does not meet the FDC criteria, your claim will be converted to standard processing. The main difference is that with a standard application, the VA is the one who tracks down most of your documentation and evidence. With the FDC, the veteran gathers as much documents as possible up front. The VA will make every reasonable effort to obtain relevant records not held by a federal agency that you identify and authorize. records from state or local governments or current or former employers. In contrast, the Fully Developed Claim form outlines the evidence that you need to submit. Usually, this is private treatment records. The veteran also notifies the VA precisely where other federal records exists, such as those with VA Medical Centers or the Social Security Administration. Depending on the type of military service, you may need to also assist in locating your service records. The main advantage of the FDC system is a speedy resolution. And VSOs and the VA report that the FDC system may be leading to higher quality claims with a higher chance of approval. The FDC also provides an option to request a reconsideration after a decision, and a chance to submit more evidence before needing to go to the appeal stage. There don’t appear to be active negatives reported. If anything bumps you out of the FDC process, your claim may just be put back in the standard processing pool. This could happen if, for example, your claim ends up requiring the VA’s assistance for more than just ordering federal records or medical exams; or if it’s determined more documents are needed. You can also drop out of the FDC process at any time and have your claim move through the standard processing procedures. The best way to apply is electronically at eBenefits.va.gov. You can also file a a paper claim, VA Form 21-526EZ, and deliver to your local regional office. 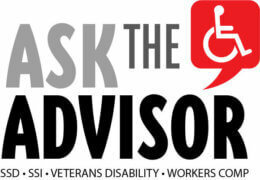 However you apply, the VA advises that veterans use the help of an accredited Veterans Service Officer. Most Veterans Service Organizations have representatives who can help develop a FDC claim for free, although applicants can also seek legal advice. How can a non-citizen go about qualifying for SSI Disability?